June 2016 - Communicating- Today's Way, Inc.
Is Daily Online Posting Giving You Writer’s Block? Are you one of many who can never think of what to say in your online business postings? Especially when you are dedicated to maintaining daily visibility? It can be very frustrating at best. Do you think you are “over-thinking” it? Maybe your ideas all sound the same because you can’t get past the broad definition of what you do? Maybe you are used to writing ads that speak “to or at” many vs. the engagement style of social media? 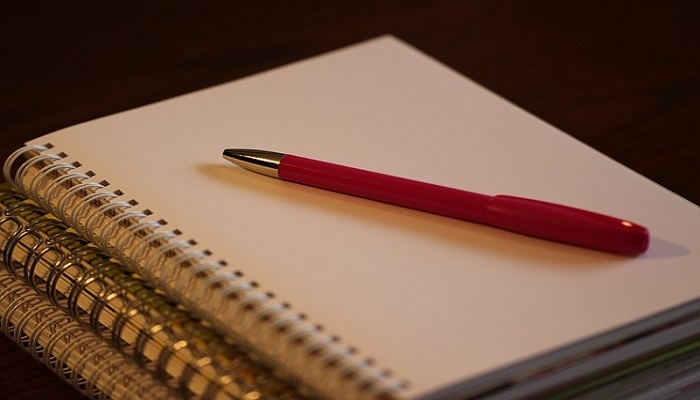 There are many reasons for “writer’s block” when it comes to writing posts. BUT it’s a block you must break through if you want to be successful on social media. How Do You Keep All Your Online Plates Spinning? Keeping them spinning is one thing, but you have to first “get” them to spin! So how do you make that happen? If we look at the image above and use it as a guideline, you have to assume that you can’t begin with them “all” immediately spinning. It makes sense that the first “concrete” step is to know your physical limits. How many plates can you physically spin? 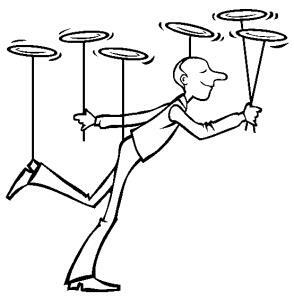 How many places are there on your body enabling you to have a plate spin? Next would be to organize the identified “places” and plan which plate would be number one and what sequence would enable you to continually add plates without losing the “spin” on the first plates. Some sense of connectivity would kick in that will hopefully propel continuous spinning while not losing the existing spinning. Finally you have to know this does not come easily. Consistent practice is what will “get” and “keep” all your plates spinning! It works the same with keeping all your online resources in motion. You can’t just jump in and have multiple online resources “spinning” for you. First you must know what your limits are. Just how many online resources can you and could you keep in motion if it made sense to do so? What is the maximum needed and what is the minimum? Next if you know your purpose for using online resources you can easily organize your implementation around what makes sense purpose wise. Also if one online resource feeds the next resource in a “connecting” way, you can gradually add your selection of online resources as it makes sense. One will build upon the next, making it useful and desirable to use and keep all of them in motion! And yes, all this is for naught if you don’t consistently put it into action daily. The good news is it’s like anything new. If you make yourself create the habit you will see the benefits and want to spend even more time on it! Online marketing is here to stay. If you approach it with care and “purpose” you will be on top of all that comes your way. You’ll know which plates you need to spin, which ones you want to spin and which ones you “can” and “can’t” spin! Mapping out a plan of action for your online resources helps tremendously. It is something we do here at Today’s Way. Please do not hesitate to inquire how we may be of service to you!